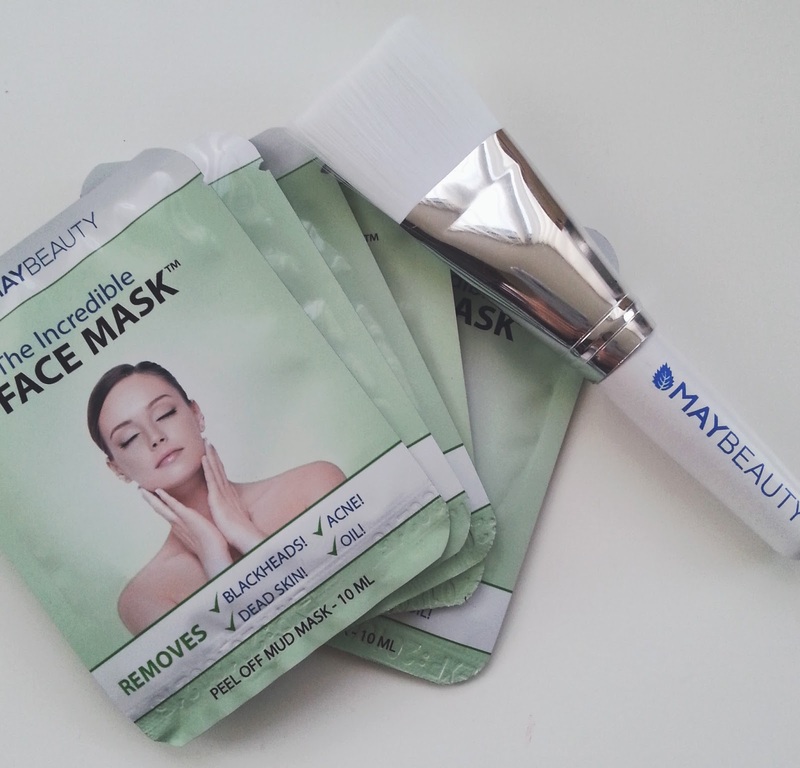 MayBeauty is a brand I know of and love a great deal, their eyelash serum works wonders, today I am talking to you all about their face mask called 'The Incredible Face Mask' the name makes it sound like the best thing in the world, and I think that it might just be! 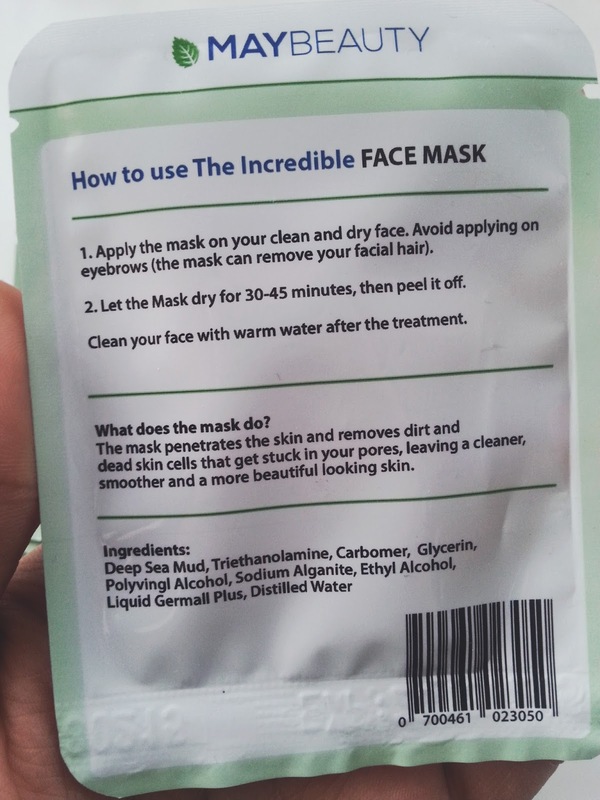 The mask claims to do the following things 'Remove Blackheads, Acne, Dead skin and help with Oil on your face' a lot of claims for a mask that is the size of your hand. 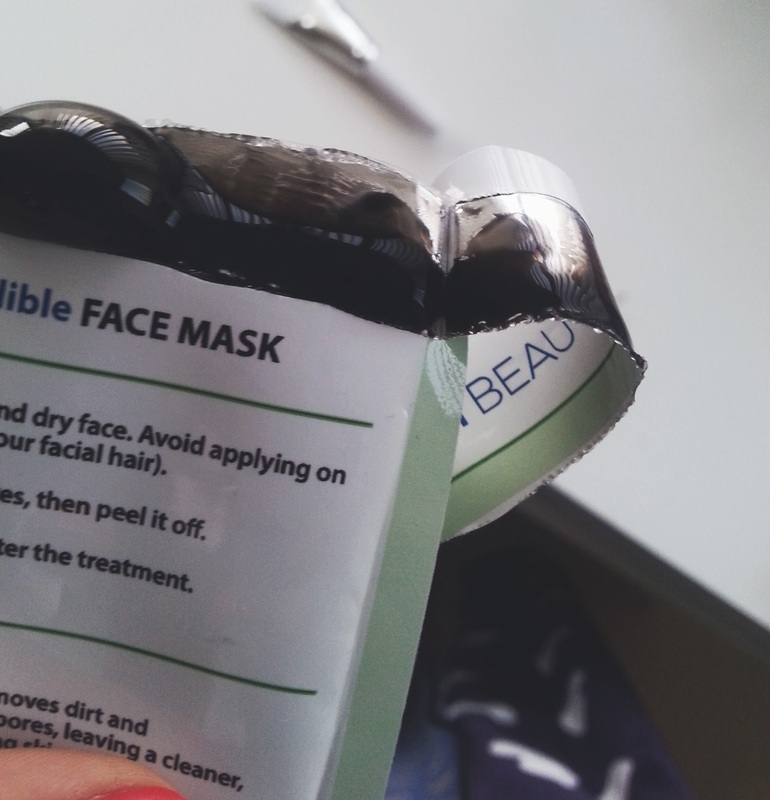 Many of the face masks that I have tried before have all been wash off masks but this on the other hand is a peel off one, my first experience with it and it is definitely odd. You pop this mask on your face, leave it for 30 minutes or what I found is when it peels and doesn't hurt! The texture and formula of this mask is a weird one, it is a peel off one but the consistency of it is more like a wash off. It is also very very black, so I would highly recommend doing this when you are having some you time - as it can look pretty scary. I used a brush to apply this as it was a lot easy due to the formula of it being thick but gloopy at the same time. All you need it one even layer and it covers your entire face, I focused more on my forehead and nose where most of my blackheads lie. After 30 minutes of waiting very patiently and making funny faces, it was time to peel off. Instantly I saw a difference and this is no lie, my mum even noticed it. My skin had brightened up and instead of looking dark and dull because of all the spots/scars it was the colour of my neck - one colour all over. The next day I had seen a reduction in the spots on my face and no more blackheads on my nose which is where they tend to gather. 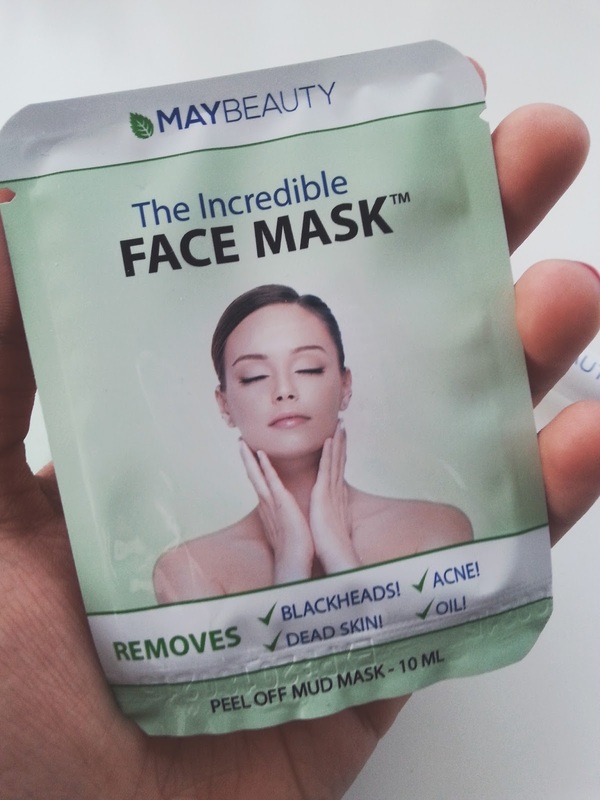 I am in love with this mask, it does everything that it says and more! I will now be doing them every week for as long as I possibly can to help my skin and remove all the bad stuff. If you would like to try the mask then just click here to automatically receive 30% discount or used the code glitterfacemask30. Enjoy!